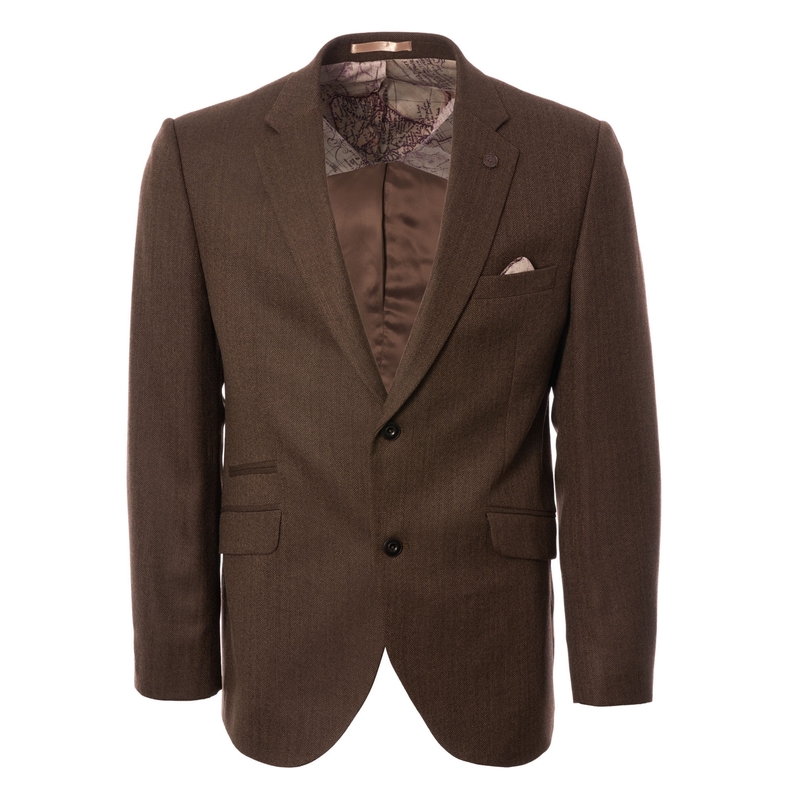 A statement jacket to arrive as part of this season's collection from Gibson this herringbone Blazer is the perfect option for those who are after a year-round piece for office or smart casual wear. Made from a wool blend cut to a slim fit the design draws the eye in a coffe herringbone pattern that will match with most formal attire and knitwear. Detailed with a two buttoned closure, chest pocket, two lower pockets to the front and three buttoned cuffs the garment comes lined with Gibson's signature map printed lining and is finished with the label's removable compass lapel pin. Try combining with a turtle neck from the likes of PS by Paul smith for a cool and collected approach to business casual over the coarse of the coming months.